Almost the entirety of the Android using population has at least once complained about the poor battery backup on the device. We’re sure most of our readers will relate to this as well. 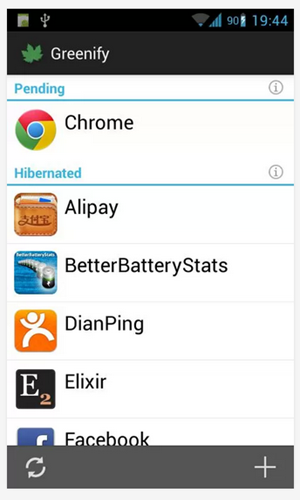 In this post, we’ll be discussing a method using which you can put background apps into ‘hibernation’ which will result in more available RAM and a much better battery life. However, as it is with most good things Android, you’ll need a rooted device. The Android OS comes with a lot of freedom. This freedom is enjoyed not only by the user, but by apps as well. Some apps might take a toll on your device and hog a lot of RAM and other resources, and cause your phone to slow down and result in a poor battery life. A good idea would be to disable these apps, if you can’t uninstall them which is usually the case when you’re dependent on the app’s functionality. Let us now talk about the process of putting apps into ‘hibernation’. 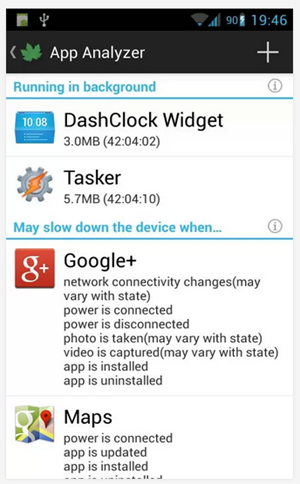 As most of us are already aware, the Android OS lets you ‘disable’ some apps from the system. By doing this, the app stays installed on the device, however it is in a ‘disabled’ or a ‘frozen’ state, meaning it does not show up on your app drawer, nor does it have any service running. This way, the app cannot interact with the user, and at the same time, cannot utilize the resources on your device. However, disabling and enabling apps is a tedious process. Not only that, not all apps can be disabled which rules this method out as far as battery optimization is concerned. This is where an amazing app known as ‘Greenify’ comes to your rescue. The app intelligently decides what background applications are hogging memory and causing the battery to drain, and consequently puts those rogue apps into hibernation. The user has to literally do nothing to bring the app back to life. The app still shows in the app drawer, the user only has to go and open the app again whenever needed. This way, a lot of time and a lot of resources are saved, which generally results into a much better battery life. Make sure you have a rooted device. If you’re not sure, check using the Root Checker app. 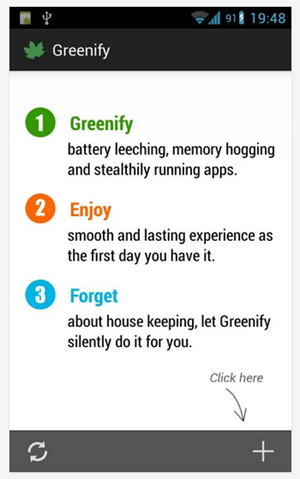 Next, head to the Play Store and download Greenify. Launch the app, and remember to grant superuser access to the app. The app has a very simple UI which you shouldn’t take to start using. You just need to tap on the ‘+’ sign on the bottom right and add the apps that you wish to be hibernated when in background. Users have reported a great increase in the amount of hours before they hit the wall socket again. Let us know how it goes with you! Hi. I wish to connect my Sony Home theatre system(which is Bluetooth and NFC enabled) which is placed in my drawing room and JBL sound bar SB 350 which is in my bed room, to my android device simultaneously so that when I play a song from my mobile, the same song can be played simultaneously on both the speakers without any delay. Any idea how to do it.